Wouldn't it be cool if you could purchase a NEW Nissan with an easy, stress-free buying experience? With Nissan's College Grad Program, recent graduates get up to $1,000 Nissan cash back on top of existing offers. 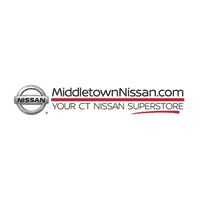 Take full advantage of your achievements and save BIG at Middletown Nissan. If you’ve graduated within the past 24 months or have written confirmation of upcoming graduation within the next six months, as well as proof of current or future employment that begins within 90 days, you could qualify for a major discount on your very own Nissan at Middletown Nissan. Eligibility Requirements Apply. Nissan recently created one of the biggest sponsorship deals of collegiate athletics ever, with more than 100 schools taking part. Students at any one of those universities are eligible to receive $1000 off MSRP on a new Nissan LEAF through the College LEAF Vehicle Purchase Program (VPP). Have graduated from an accredited four-year college, university, or registered nursing degree program during the last two years or will graduate from such a school/program within the next six months. Have graduated from an accredited two-year college, junior college, technical college, or university during the last two years or will graduate within the next six months. Be enrolled in or have graduated from an accredited graduate degree program during the last two years. Have graduated from an accredited two-year trade or vocational school during the last two years or will graduate within the next six months.